One man – McCrae Dowless – filed in-person requests for 592 absentee ballots at the Bladen County Board of Elections in the month's leading up to this year's midterm election. That's more than twice any other single applicant and accounts for 44 percent of the 1,341 in-person absentee ballot requests made at the Bladen County Board of Elections. Taking a step back to look at all absentee mail-in ballots for Bladen's portion of the 9th Congressional District, just 19 percent were cast by registered Republicans. However, 61 percent of those ballots went to the Republican candidate Mark Harris. Not only was Bladen the only county for which Harris won the absentee mail in ballots, but such a vast disparity of vote totals compared to registered voters stands out to political and data analysts. Taking another step back: across the entire 9th Congressional race, which includes Bladen County, there were 3,500 non-returned absentee-by-mail votes, by far the most of any Congressional race. These factors have contributed to the N.C. Board of Elections not yet certifying the election, as investigators look for answers to these irregularities. Another person, Lola Wooten, requested the second most in-person absentee requests in Bladen with 230, and Jessica Dowless – relation unknown – filed for another 185 absentee requests. McCrae Dowless, Jessica Dowless, and Wandt Monroe, who requested 113 absentee ballots, did not immediately return WUNC's calls for comment. In a brief phone conversation with WUNC, Wooten accused McCrae Dowless of absentee ballot fraud in this election, as well as a previous one, but did not elaborate before hanging up. 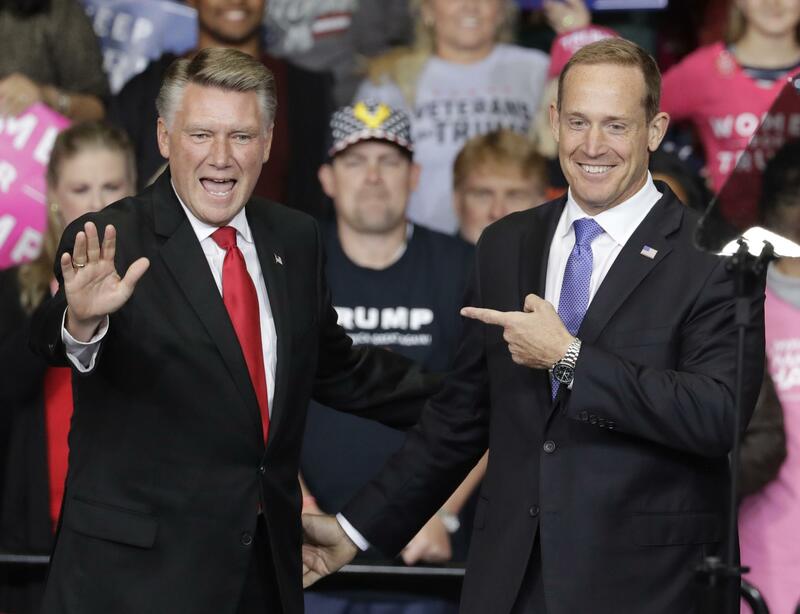 All data come from the N.C. Board of Elections, which began releasing documents related to allegations of fragrant absentee ballot fraud in the 9th Congressional race. The state board of elections has not certified that race. Republican Mark Harris leads Democrat Dan McCready by 905 votes. Absentee ballots in the 9th Congressional race have drawn attention because of the unusually high percentage that were not returned. Not all voters who request an absentee ballot end up filling out and submitting that ballot back to the board of elections. But in the Harris-McCready race, an extraordinarily high number of ballots were not returned. Political analyst Michael Bitzer has tracked North Carolina elections closely for years. In a blog post this week, he notes the high rate of unreturned ballots in the 9th race, and especially high in Bladen and Robeson counties. Bitzer called the voting patterns "astonishing." "What this told me was that either all of the registered unaffiliated voters in Bladen’s 9th district voted Republican, along with some cross-over registered Democrats voting Republican, or something else was happening," he said. "It seems more and more like something else was happening." These irregularities have investigators looking at those two counties and seem to be homing in on activities linked to a longtime political operative from Bladen County, where allegations about mail-in absentee ballots also surfaced two years ago during a tight election for governor.